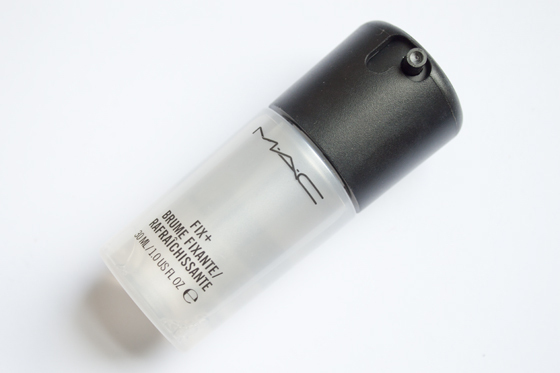 MAC Fix + is a mix of vitamins and minerals spritzer infused with green tea, chamomile &cucumber with a very light and subtle scent. I wouldn't say it makes your makeup last longer like some people claim, It's not actually a makeup setting spray it's a refresher spray. You can use it to refresh your makeup throughout the day or use it to correct caked on makeup. A few sprays later and your makeup is taken from matte to a soft natural dewy finish. I've had this product for a while now and I've gone through at least three bottles since I discovered it a few years ago. I always go through loves and hates of Fix +, Sometimes I do just think it's glorified water and then sometimes I think it's the best product ever. I use personally reduce the powderyness of my makeup, a few spritz's after I've applied my powder to get rid of the powdery look. I really love the finish as its great for summer when you want something a little more glowy and soft rather than. I wouldn't say it's a must have, but I like it and will purchase it again in the future! I'm planning on buying the Studio Fix Powder soon to use as a light foundation so I'll definitely be buying this also to save me from the dreaded powdery look! I love this, I bought the full size as I thought it was waaaay better for money! I just use the caudalie stuff to the same effect! Never actually tried this though! id recommend it! its really good when you face feels a bit too caked on! do! get the small bottle if your worried! thats not the purpose of it though, its a refresher, not a setting spray. Sounds good. While we're on the subject, can anyone recommend a good makeup fixing spray?